First up is Zachary Freeman, a Manager of Strategic Innovation at the Invention+ unit of Mindshare North America. Augmented Reality. Aside from just being fun and innovative, brands from all different industries now have the opportunity to truly engage with consumers via AR experiences. The best part is that the use cases of AR for brands run the gamut; they range from overlaying information and entertainment into the real world to providing valuable services to consumers like virtual try-ons. It’s our job to educate brands on the constant advances in tech like AR before more jump in, especially as it pertains to web-based AR which provides scale and the various ways to launch an AR experience. Furthermore, we need to dissolve the misconception that AR and VR are the same – our best bet is to stop lumping them together! I would broaden this from just one campaign but to a brand overall: Nike, which is actually a client out of our Mindshare Portland office. 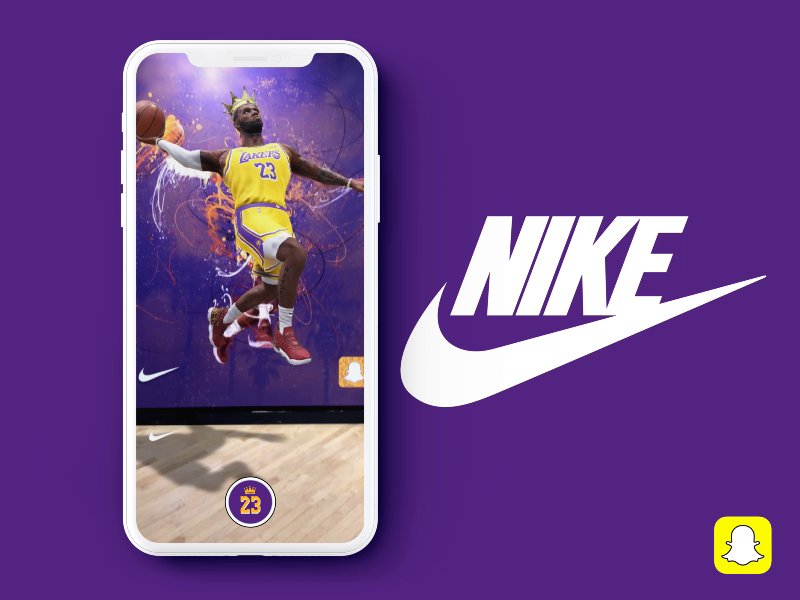 Not only are they a great example of a brand who is taking a stand for what they believe in with their Colin Kaepernick campaign, but they are also really driving innovation, testing everything from chatbots with the Nike Stylebot to augmented reality with the Lebron James Snapchat experience where he jumps out of the billboard and virtually slam dunks. What’s your proudest moment at Mindshare / Invention+? The times when I have had the biggest stages to present innovation – the 2019 Consumer Electronics Show and Mindshare Day (an agency-wide celebration of our work and heritage) – have been my proudest moments at Mindshare. At CES, I led our clients through a session about autonomous vehicles across the showroom floor, educating and encouraging them to think about a future where mobility behaviors are shifted and consumers will have more time to absorb media and content. For Mindshare Day, I presented an Innovation 101 to our entire Los Angeles office which provided updates on key innovation pillars like AR, VR, Chatbots, AI, Voice Assistants and more, ultimately fueling provocative thinking for future Mindshare campaigns. My unwavering optimism and chameleon nature allows me to adapt to any situation and give it my best, while staying true to what I believe and not being afraid to speak up. After all, I am a Pisces! Learn more about Invention+ here.